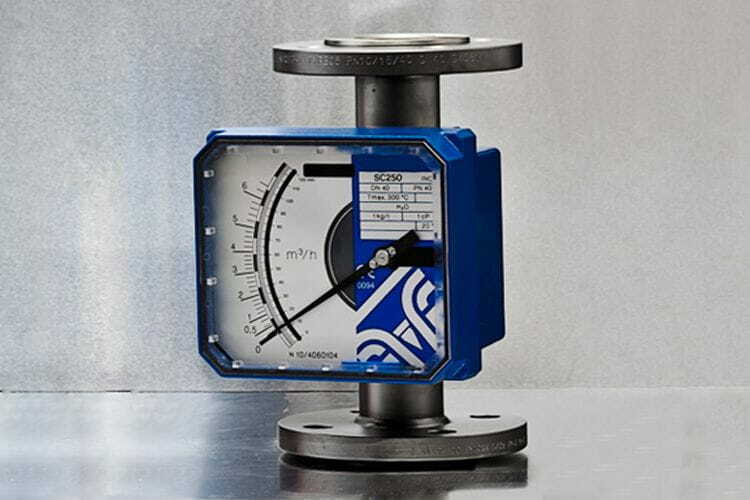 The measuring system is composed of a cylindrical tube and a cone-shaped float. When upstream flow reaches an appropriate velocity displaces the float upwards. The position of the cone is magnetically transmitted to an indicator, and the measured value is read off from the position on a scale. Specially designed for opaque, inflammable, corrosive fluids, as well as for adverse pressure and temperature conditions. Accuracy ±2,5% f.s. Upon request one or two adjustable switches (reed switch, micro-switch or inductive sensor) / 4-20 mA output signal are available.